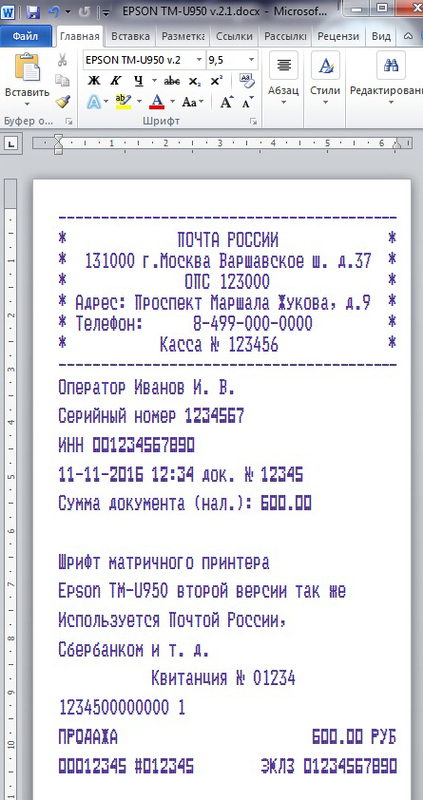 The font of the Epson TM-U950 matrix printer is the second version, which is used to print checks, receipts, tickets by many banks, in particular, Sberbank, Russian Post offices and other large organizations. Differences from the first version in the inscription of some letters and numbers. Before buying, take a closer look at the screenshots provided. 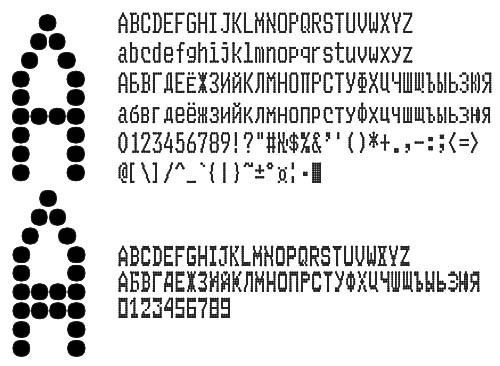 Font (matrix 7 × 9) in TTF format (Russian and English letters) for use in Microsoft Word. In the archive are normal and bold fonts in TTF format and a check pattern. You just need to install the font in the system (usually C: \ WINDOWS \ Fonts), open the template and start editing. Thanks to the cooperation with one of the buyers, the font was optimized for the print head size of the standard EPSON dot matrix printer, for point-to-point printing.